Making a wind instrument from items you probably have around your home is a fun project for kids and parents. Teachers also can guide students in making a homemade wind instrument in order to teach about the science of sound or instrument families. 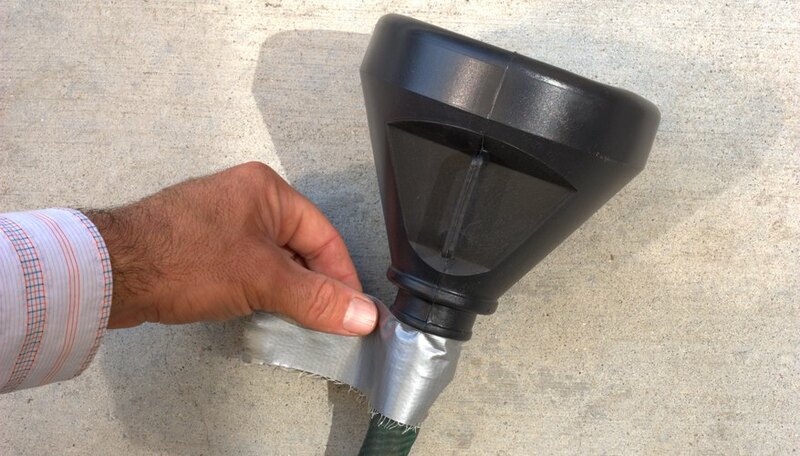 A homemade "trumpet" is an instrument that you can make with a short list of resources and only a little time and effort. You can even play several different pitches on your newly crafted "horn"! 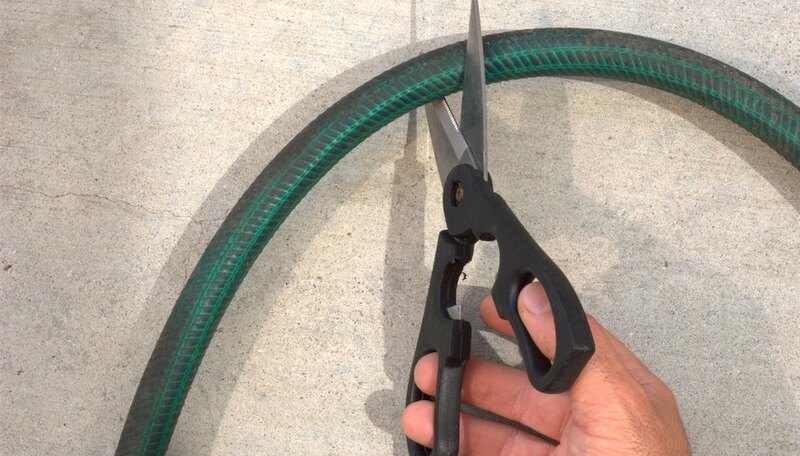 Cut a section of hose approximately two and a half feet in length. 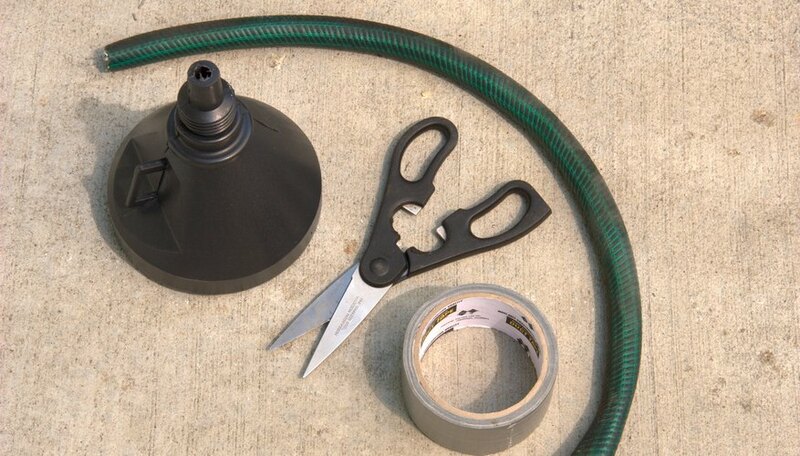 Insert the funnel into one end of the hose and secure it in place with some tape. 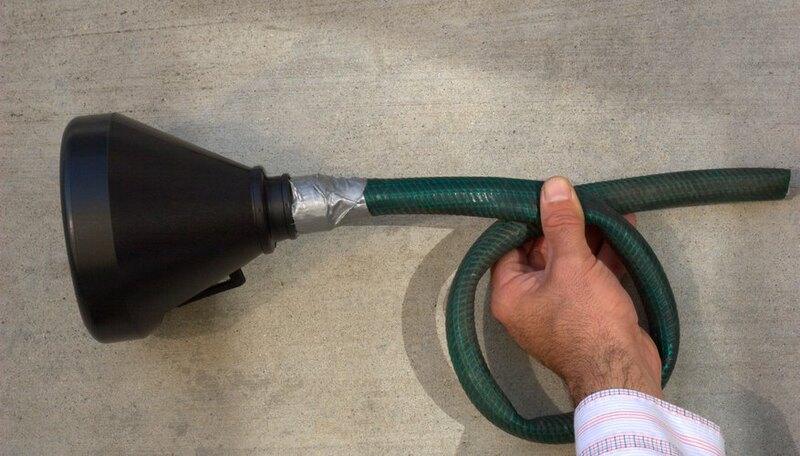 Duct tape or electrical tape will work best. 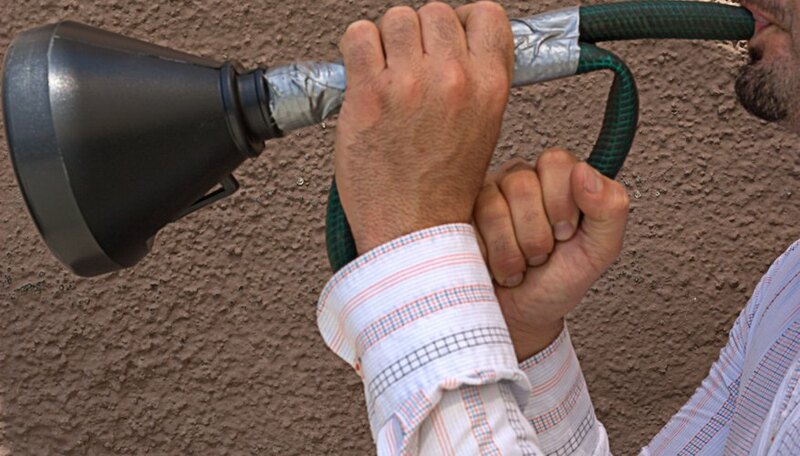 Form a loop by doubling the hose. 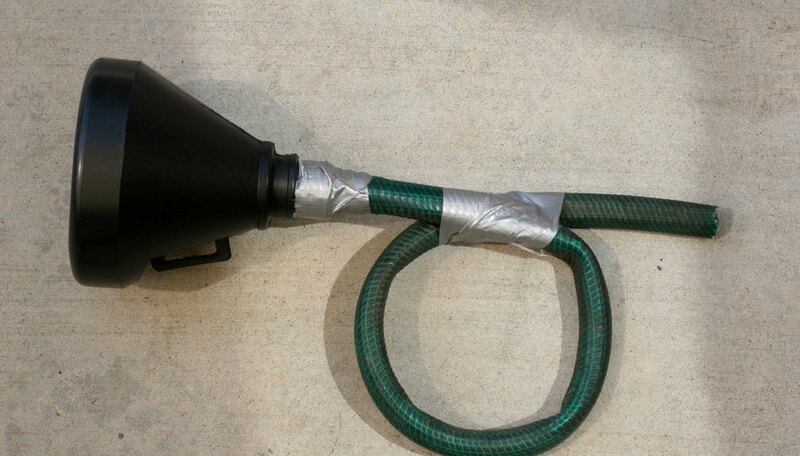 The funnel end should be sticking out a few inches from the loop on one end, and the plain end of the hose should be sticking out a few inches on the other end. The plain end will serve as a mouthpiece. If you have an actual trumpet mouthpiece, you can insert it in this end and tape it in place, but it's not necessary. Tape the looped section to hold the loop in place. Hold the trumpet with one hand on the loop and the other hand supporting mouthpiece. Place your lips on the mouthpiece and buzz your lips in order to make a sound with the instrument. The tighter your lips are, the higher the pitch will be. The looser your lips are, the lower the pitch will sound.